Is your dental website slow, old, and not optimized for mobile searches? If your sheepishly answered “yes” your dental SEO could be jeopardy. The good news for you is there’s still time to fix your site. 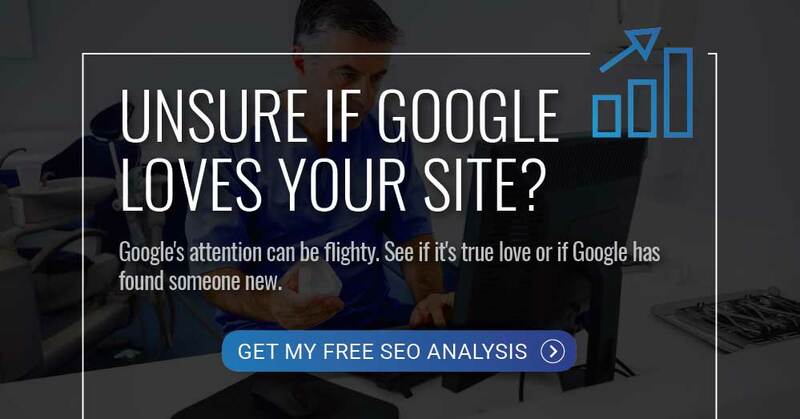 Take a minute and watch what our dental SEO and web expert, Danny, has to say. You really can’t afford to miss his tips this week! 1) The website that your mobile users see doesn’t have to be identical to your desktop version – BUT IT NEEDS TO BE FAST. Want to find out how you can make your website faster, today? Press play and take notes. 2) You’re not alone. There are tools readily available that can help you increase your web speed. Remember to try and use one video per page along with tools like g-zip and caching to help speed up your website for new users and returning users. After you watch the video, it’s time for the moment of truth. Search for “Google Speed Test” online and put your dental website to the test! Danny: 00:00 Welcome to Wednesday Wisdom. I’m Danny from GPM. Today we’re going to talk about SEO, more specifically performance and how it impacts your SEO. When I say performance, I mean the speed of your website. Whether you’re building a new site or updating an older website, having a good experience for users both desktop and mobile is super important. Danny: 00:19 Your website for mobile users and desktop users doesn’t need to be the same, but it does need to be fast and easy to use. Here are several ways that you can help make your website faster. First, minimize external libraries and plug-ins. These are things like fancy slideshows and old plug-ins that maybe you’re not using anymore. Optimize your images by saving them for web, or using a plug-in like Imageoptim to help keep quality and reduce file size. Danny: 00:46 Try to use only one video per page when possible, and use tools like g-zip and caching to help speed up your website for new users and returning users. We’ve included some helpful links and tips in the video description. If you have any questions, as always, please feel free to email us, call us or contact us on your social media platform of choice. Don’t forget, check in next week for more tips.